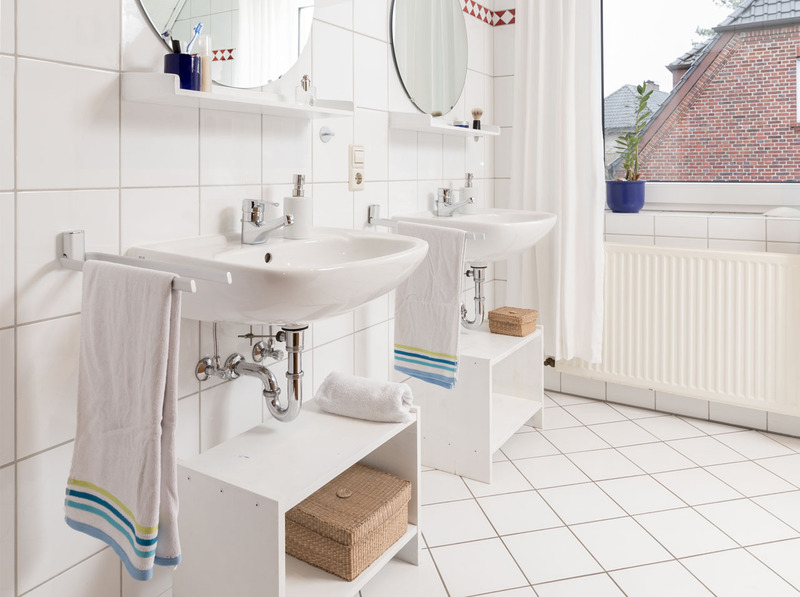 Turn a boring, relatively simple white bathroom into a space with character in just a few steps. Modern mats on the floor quickly change the colour concept. Static adhesive films provide a privacy screen that protects you from your neighbours’ prying eyes and creates a luxurious atmosphere at the same time. 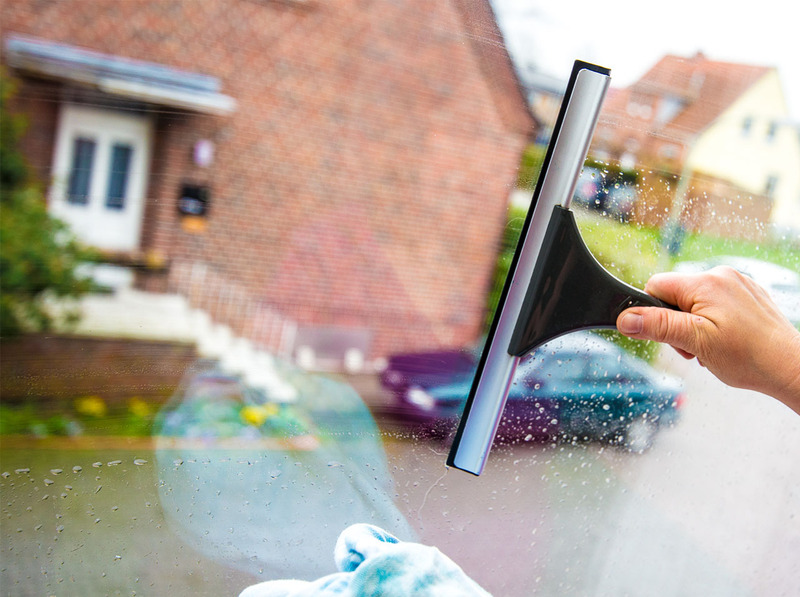 Clean your window so that it is free of dust and grease. 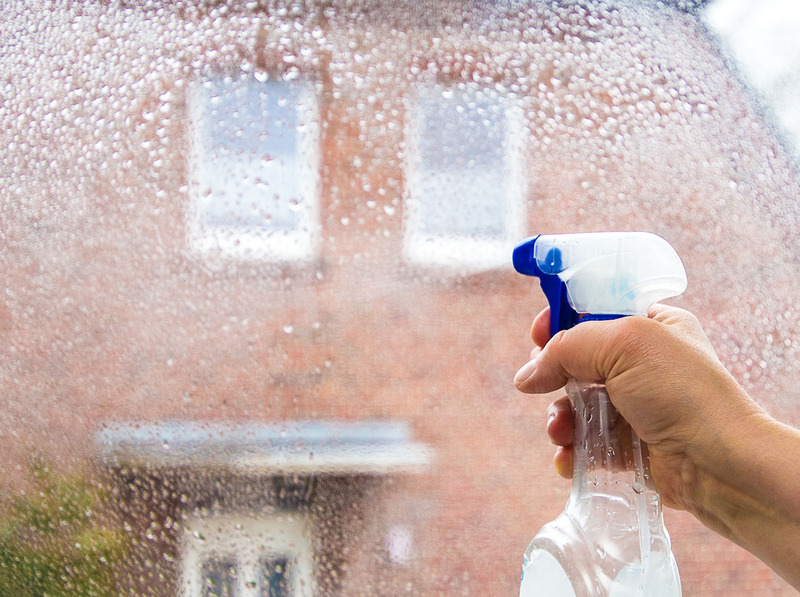 Pick up a spray bottle with water to moisten the window, thus creating the base for the static adhesive film. Cut the window strips to the width of the window and then place them on the window. 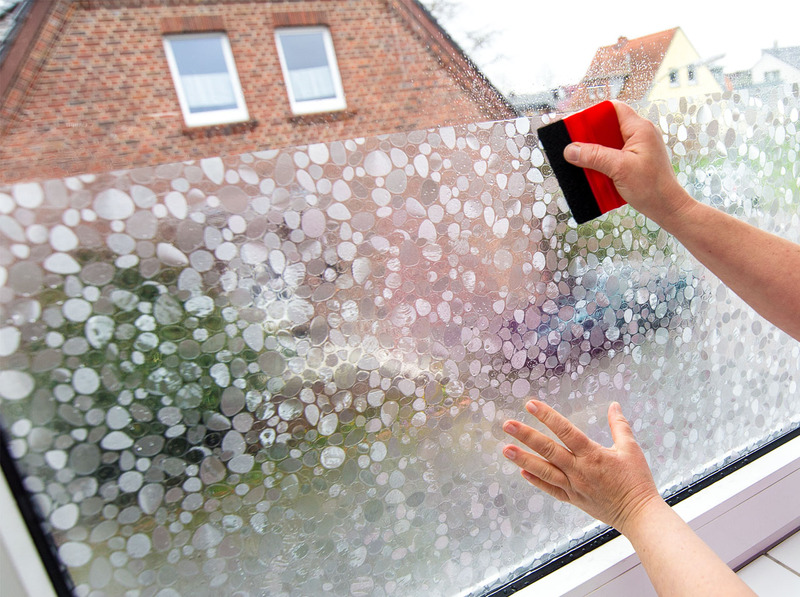 Now you need to use the squeegee to remove the water from the glass film in order to achieve the static adhesion. Then proceed in the same way with the other strips. 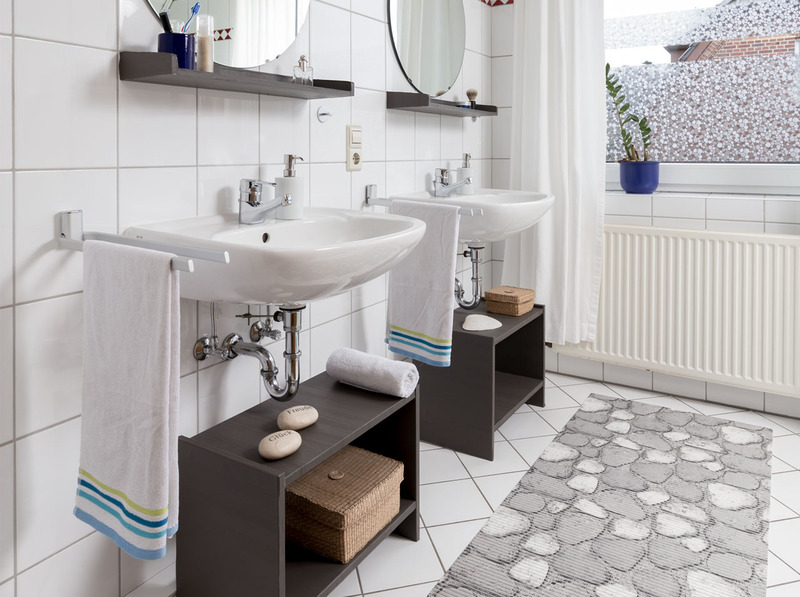 A d-c-floor comfort mat in a modern design gives the white bathroom a splash of colour. For example, the “New Stones” design creates a grey stone look. Bring colour into a white bathroom and benefit from the privacy screen.